Are you getting ALL of the vitamins, minerals, and other nutrients your body needs from the foods you’re eating? Join Doc Nuzum as he discusses the third pillar of INSPIRED health - Supplementation. Collagen is well-known for its ability to help restore skin, joint & gut health and rebuild hair, nails & teeth… But what about collagen for weight loss? Iodine is vital for your immune and heart health and for boosting your metabolism and thyroid… but iodine deficiency symptoms are rampant. Uncover why! Have you been hearing about collagen supplements and wonder what all the fuss is about? Get the facts in this “Empowering You Organically” podcast episode. 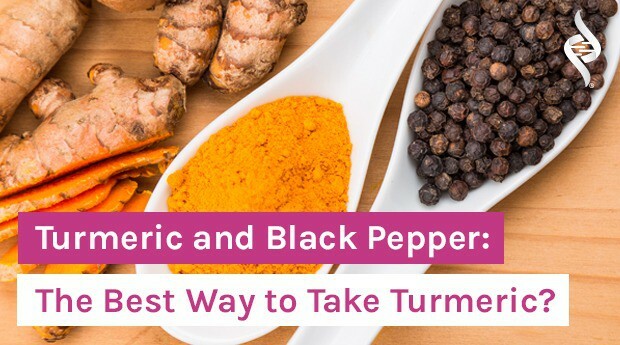 Is turmeric and black pepper a winning combo? How can you get the most benefit from the turmeric you consume or take in supplement form? Get the scoop here. Worried about getting “high” or experiencing the psychoactive effects of medical cannabis? Get the straight facts in this important podcast episode. Nature’s most healing and versatile plant? Get the scoop on what cannabis really is, how cannabis is used medically, the difference between THC and CBD, and much more! Here’s a quick overview of the Organixx supplement line. Learn what they are, how to use them, and even some healthy recipes you can make. Are you noticing Prop 65 stickers on products you’ve recently ordered from Amazon? What is Prop 65? Tune in to the season finale of our Podcast to find out. Hey friend, Organixx is here to help close out your year right! Discover holiday health tips in this season finale of Empowering You Organically. Can medicinal mushrooms help strengthen your immune system? If so, which ones are best? In this podcast you’ll discover the incredible power of fungi. Have you done a review of your supplements recently? How many are you taking? And how many is too many? Here’s what you need to consider. Turmeric and inflammation are hot topics these days. In this podcast episode Doc Nuzum shares what you need to know about both, and busts some myths. [Podcast] Empowering You Organically Ep. 4: Multi-Vitamins: Hype or Healthy? In this episode with Dr. Nuzum we discuss multivitamin benefits, ingredients to look for, absorption and dosing, RDA recommendations, nutritional deficiency and much more! Do you know what a pharmaceutical drug does in your body versus a neutracutical versus a whole food supplement? Tune in to Episode 3 to find out. Whole food supplements vs.synthetic supplements… What’s the difference? Organixx uncovers the truth in this second installment of our new Podcast series! Enjoy Episode 1 of our new podcast series where we discuss the history of supplements and the difference between supplements & pharmaceuticals. Collagen vs Bone Broth: What’s the Difference & Which Do You Need? Collagen vs bone broth. What do these supplements do, how are they different, and is it a good idea to take one or both? Get the inside scoop here. Is it Effective to Take E-Plexx if You Are Postmenopausal? – "Ask the Doc"
Is E-Plexx a good choice for postmenopausal women? Dr. Nuzum explains what’s in the product and why he came up with the formulation in the first place. Do you know the difference between vitamin D2 vs vitamin D3? Your body actually needs to convert vitamin D2 into D3 to regulate hormones and more. Did you know there are several kinds of collagen, and each one can benefit your body in different ways? Discover which type(s) of collagen is best for you. When the body has enough collagen at its disposal, you can have thicker and more lustrous locks. Here’s what you need to know about collagen for hair. You’ve likely never heard of it, but the benefits of dong quai are well known and it’s a popular anti-aging health product in China, Japan, and Korea. Have you heard the buzz about collagen for skin? Discover what science has to say, plus 5 tips to help your skin produce more collagen naturally. Is it possible to overdose on supplements? Should you be cautious when taking certain vitamins and minerals? Watch this “Doc Talks” to find out! Trouble swallowing supplements? Dr. Nuzum shares whether or not it’s okay to open the Organixx capsules and use the contents. There’s a fairly common supplement side effect you may have experienced but didn’t understand was going on. Here’s Doc Nuzum to explain. Are you curious about proper supplementation and the best time of day to take different types of supplements? Doc Nuzum shares his advice. Most people are aware of deadly radiation from events such as Chernobyl and Fukushima, but are unaware of everyday radiation dangers. Will the Cruciferous Veggies in MVM Interfere With Your Thyroid? – "Ask the Doc"
Could the cruciferous vegetables in Multi-Vita-Maxx negatively affect the thyroid? Join Dr. Daniel Nuzum for this installment of “Ask the Doc” to find out. Is it Safe for Someone on High Blood Pressure Medicine to Use Frankincense Oil? – "Ask the Doc"
If you have high blood pressure, is frankincense a supplement ingredient that can be cause for concern? Doc Nuzum shares his experience. The multivitamin ingredients in many drugstore brands aren’t always what you think they are. Learn 10 common “other ingredients” to watch out for. If left unchecked it can lead to a host of health issues, including serious disease. Discover why nutrient malabsorption is far more common than you think. "Can I Take Turmeric While on Blood Pressure Medication & Aspirin?" – "Ask the Doc"
Are you on blood pressure medication or are you taking aspirin? Dr. Nuzum discusses something vital you’ll need to know if you also consume any spices. Are Bioidentical Hormones Safe to Take with E-Plexx? – "Ask the Doc"
Today’s installment of “Ask the Doc” is for the ladies out there, as we’re talking about bioidentical hormones and supplementation. Let’s go join Dr. Nuzum. Do you find yourself taking a lot of antacids after a meal? Want to know how to fix that? Stay tuned for this installment of “Doc Talks” to find out. Can I Take Probiotics and Enzymes Together? – "Ask the Doc"
Organixx brings you another episode of “Ask the Doc.” And today’s question is, “Is it okay to take probiotics and enzymes together?” Let’s ask Dr. Nuzum. Have you tried bug-based food? See 10 countries that are eating insects as a normal part of their diet, and why it can be beneficial. Maintaining a healthy diet can be hard. Discover a surprising superfood that’s both gut-friendly AND packed with nutrients: cricket protein powder! Nightshade Allergy & Ashwagandha – "Ask the Doc"
Are you one of those people who sufferers from nightshade issues? Join us as Dr. Daniel Nuzum discusses ashwagandha in Organixx products. We are focused on our mission to get everyone on the planet as healthy as they can be. Read this heartwarming story from a recent bone broth donation! Curious about ways to boost testosterone? Join Doc Nuzum as he discusses specific, natural ways men can keep testosterone levels high for optimal health. Learn 14 compelling reasons to diffuse essential oils along with some of the best known methods of diffusing PLUS advantages and disadvantages for each. Are you getting all of the vital nutrients and vitamins and minerals from the food you’re eating? Today, we’re talking supplementation. Iodine is required for most functions in the body yet most people are deficient in this vital substance. Here are 10 iodine benefits & why you need enough. You’ve likely heard of them, but what exactly are essential oils and why are they so popular? Many of these facts about essential oils may surprise you! Low vitamin D levels are becoming an epidemic around the world – even in places where there’s lots of sunshine. Find out why and steps you can take. Lemon and lemon essential oil has so much to offer! From culinary delights to serious health benefits, check out these amazing lemon oil uses. Discover the tale of what started the world’s love affair with the melaleuca tree and the amazing tea tree oil benefits. For more than 2,500 years people have been using lavender medicinally and religiously. Here are some of the most beneficial modern day lavender oil uses. You’d likely recognize the scent of this highly aromatic essential oil. Now discover the many eucalyptus oil benefits for your health. You may be familiar with all the gut health benefits of fermented foods, but do you know all the advantages of fermented supplements? If not, read on! Discover why clove oil for toothache and gum pain is a perennial favorite and DIY recipes for healthy dental care products using clove essential oil. Discover 6 actions that are the “recipe” to reverse aging. Not only can they help you live a long life, but a vibrant one as well. Throughout the ages this aromatic resin has proven itself invaluable for a variety of special purposes. Discover some of the key health benefits of myrrh. One-third of all Americans takes a multivitamin, but they’re not created equally. Here are 5 tips on finding the best multivitamin to support your health. Vitamin D Deficiency: How Much Do Adults Really Need? Why is vitamin D so critical for good health and how can you recognize the symptoms of a vitamin D deficiency? Find out here. You’ve likely heard of benefits of turmeric and/or curcumin. Turmeric essential oil is even more concentrated than the root its extracted from. Essential oil companies can’t promote essential oils for pain, but researchers have been studying their effects. Here is some of what they’ve uncovered. Traditional healers and modern medicine both use cordyceps sinesis for its healing abilities. Find out what makes the cordyceps mushroom so unique. There must be thousands of ways to use essential oils! Discover these 12 basic essential oils and 60+ ways to use them to enhance your health. Originally used in the East as both traditional medicine and food, modern science is now demonstrating the potent therapeutic properties of mushrooms. Numerous studies have been carried out on the health benefits of ashwagandha. Here’s a closer look at the scientific evidence for this superstar herb. Health Benefits of Holy Basil: Ayurveda's "Sacred Herb"
The Holy Basil plant (also known as Tulsi) is revered by many for its near-miraculous healing potential. Discover the numerous health benefits of Holy Basil.